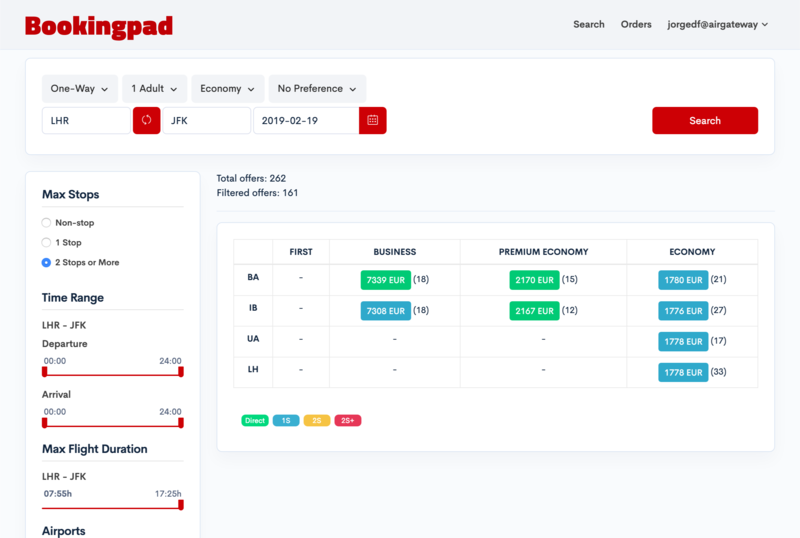 Bookingpad | Bookingpad is the most advanced NDC-ready booking tool for travel agents. We aggregate shopping content, features, and bookings from all the NDC airlines you are authorized. All of it in one single and consistent web application. NDC enables airlines to deliver rich-content and ancillary services such us paid seats, extra luggage, on-board Wifi or premium meals. Get the best faresfrom NDC-ready airlines! We will assist you to apply for airlines credentials so that your travel agency gets authorized to access and book NDC contents. In a matter of a days your travel agency will be NDC-enabled and accesing the best fares in the industry.